For those with dental benefit plans, you and your employer are paying money up-front throughout the year to provide you dental benefits. The only problem is, if you don’t go to the dentist at the end of the year, that money is left on the table. 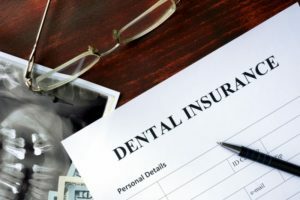 When it comes to dental benefits, they are a “use it or lose it” situation. The key is to get the most out of your benefits before December 31st. Schedule your first visit with your dentist early. Since preventive care is typically 100% covered in your plan, make routine visits to the dentist. If you see them early in the year, they can help you figure out what kind of treatments you may be needing. That way, you can see what will be covered by insurance and what you may have to pay out of pocket. This will ensure you are using your full benefits throughout the year, and it will keep your oral health in tip-top shape. Preventive visits are a lot better for your schedule, pocketbook, and health than other more expensive restorative treatments. Flexible Spending Accounts (FSA’s) are accounts you can set up with your employer. You will choose how much money gets put in, and that money can be used for products and services that keep your mouth healthy like checkups and cleanings. Most FSA’s work like debit cards, and you can even use them for products at your local drugstore. With FSA’s, it’s even more important to take the time to plan out your year with your dentist. You don’t want to put in too little money, where you won’t have enough coverage, but you also don’t want to put into much money, where you’ll have some leftover at the end of the year. That’s why it’s important to schedule preventive checkups with your local dentist. They’ll be able to tell you if you’ll need to fix oral health issues during the year, so you can set aside the amount of money you’ll need. Some employers offer a grace period, or some roll over for unspent FSA money, but ask your employer first. To play it safe, always use your FSA money by the end of the year so you aren’t leaving any hard-earned dollars on the table. Talk to your dentist and employer about your type of dental plan and what it covers. That way, you can get the most out of your benefits, and keep your teeth looking and feeling good. Dr. Joy Todd and Dr. Ronald Anderson provide a caring and gentle touch for their patients. They accept dental insurance, which is why they want you to use your benefits before they are wasted! They currently practice at Anderson Family Dental, and they can be contacted through their website or by phone at (614) 475-1874 for any questions.